Sadly, these are not isolated cases. Thousands of Americans find their lives and those of their families forever altered, languishing in prison for misdemeanor offenses because they cannot afford bail or pay attorney fees. CIVIL RIGHTS CORPS AND ESSIE JUSTICE GROUP ARE MEETING THESE INJUSTICES STRAIGHT ON. “JusticeAid is honored to shine a light on our two 2018 beneficiaries,” states Stephen Milliken, Founder & CEO of JusticeAid. 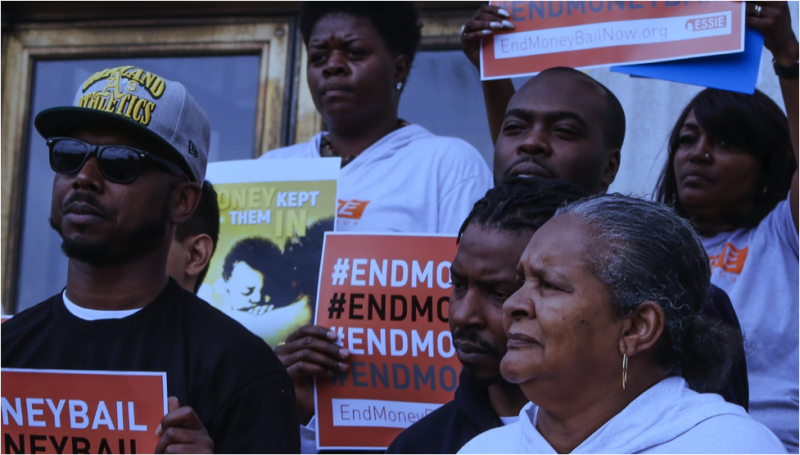 “They are effecting systematic change and legislative reform to eliminate the criminalization of poverty and 21st-century debtors’ prisons across the nation. THE STORIES FROM WOMEN WITH INCARCERATED LOVED ONES ARE ESPECIALLY HORRIFYING. One in four women in the United States has a loved one in jail. For women of color, it’s one out of two. The emotional and financial toll falls predominantly on these women according to Gina Clayton, Executive Director and Founder of Essie Justice Group. Her organization brings together women with incarcerated loved ones. MONEY BAIL SYSTEMS ARE UNCONSTITUTIONAL. Alec Karakatsanis, Founder & Executive Director of the Civil Rights Corps, feels similarly on the need for bail reform. To counter the injustices, Civil Rights Corps brings aggressive reform litigation around the country on behalf of impoverished and otherwise marginalized criminal defendants. The results are impressive: historic local victories with national implications. In the past few months, 12,272 people were released from the Harris County Jail in Houston as result of a federal injunction filed by Civil Rights Corps. 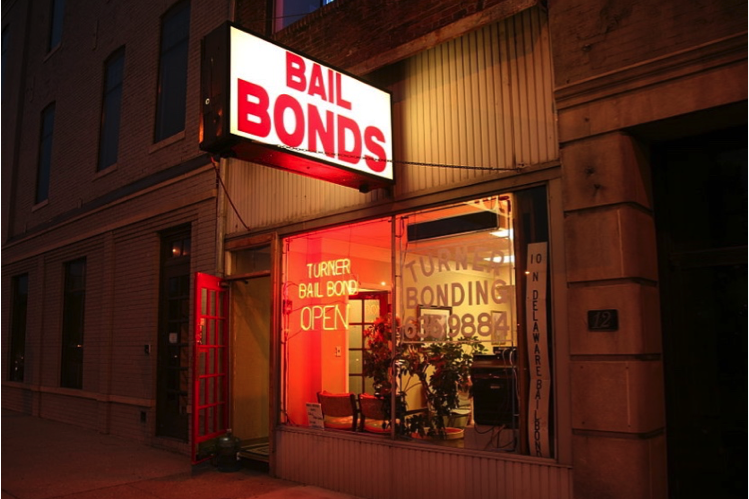 In Alabama, the federal district court granted CRC’s motion for preliminary injunction in their bail lawsuit v. Cullman County, which will stop the County from detaining poor people who cannot afford to post bond as a condition of pretrial release. The statistics are compelling, yet so, too, are the people behind them: human lives caught in a system that frequently forgets about them. Join JusticeAid in making a difference. Watch Civil Rights Corps’ video here and check out its impressive docket of cases. If you can afford to make bail, you’re suffering. If you can’t afford to make bail, you’re suffering. JOIN US ON NOVEMBER 11TH, 3:30-5:30 PM, FOR A PUBLIC FORUM AT RIVERSIDE CHURCH IN NEW YORK CITY. Racism and the Criminalization of Poverty: 21st Century Debtors’ Prisons in the Age of Mass Incarceration will present multiple perspectives on key issues. The forum will begin with a presentation by ACLU Deputy Director Jeffery Robinson from his multimedia project Who We Are: A Chronicle of Racism in America. Johnny Perez, the Director of U.S. Prison Programs at National Religious Campaign Against Torture and a former inmate confined to solitary confinement at Rikers Island, will serve on the panel along with beneficiaries Alex Karakatsanis and Gina Clayton. Performing artist Abena Koomsom-Davis will sing an anthem to Justice. The event is free and open to the public and will be live-streamed through JusticeAid and The Riverside Church media channels. Follow the event at #JusticeAidForum. Learn more about the project and reserve tickets here. THEN MEET US ON NOVEMBER 13 AT CITY WINERY. Three days later, JusticeAid returns to City Winery on Tuesday, November 13th, for a celebration of the 300th anniversary of New Orleans Concert for Justice featuring New Orleans clarinetist, bandleader, composer, and educator Dr. Michael White and his Original Liberty Jazz Band. Legendary gospel and blues singer Topsy Chapman will also take the stage. Please remember that 100 percent of ticket sales will support our beneficiaries, Civil Rights Corps and Essie Justice Group! Learn more about the concert, buy tickets and sponsorships, and follow the event at #JusticeAidForum. *According to a 2015 study entitled “Who Pays: The True Cost of Incarceration on Families,” 80% of individuals who paid court-related costs on behalf of an incarcerated loved one were women. The same study found that 65% of families that assume a loved one’s incarceration-related costs struggle to provide food, housing, utilities, transportation, or clothing for themselves.